Customer service is not a term we’re used to hearing in public schools. But, as competition for students heats up, more educators are taking a hard look at how they serve the needs of students and families–inside and outside the classroom. 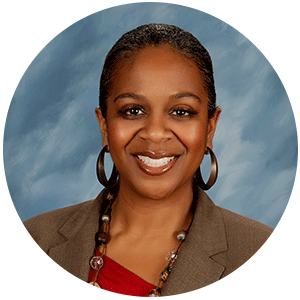 Join special guest Deidra Powell, chief communications officer for California’s Santa Ana Unified School District, as she reveals how her district uses a commitment to customer service and listening to build its brand, provide better outcomes for students and families and carve out a competitive advantage for local K-12 schools. Fill in your form modal content here. This section will not be visible to the public page. Yes, please reserve my seat for the February 28 webinar, 5-Star Customer Service in Schools. Fill in your "thank you" (form follow-up) modal content here. This section will not be visible to the public page. Thank you for registering for our webinar, 5-Star Customer Service in Schools. You will receive an email shortly with all the details. If you'd like to speak with someone immediately, please call 703.542.9600. In the meantime, check our resources page for new content every week. Fill in your "bounce prevention" modal content here. This section will not be visible to the public page. Sorry that you're not registering for our webinar. If you have a conflict on February 28, go ahead and register. We'll send you the recording to view at your convenience.